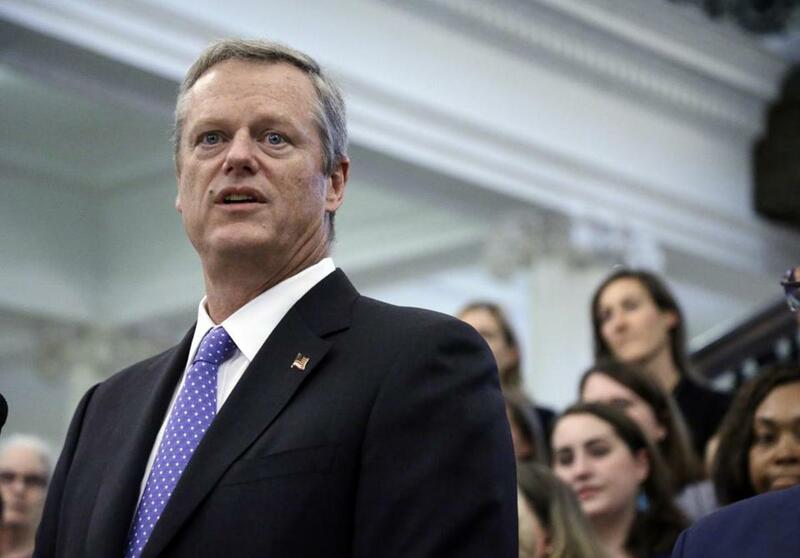 Governor Charlie Baker’s administration is the driving force behind a plan to further cut carbon emissions. Massachusetts is pressing some reluctant states to require power plants to cut carbon emissions twice as fast as the current guidelines in their regional climate change program, a market-based effort that’s considered a national model. The proposal pushed by the Baker administration would require the nine states of the Regional Greenhouse Gas Initiative to curb emissions by 5 percent each year between 2020 and 2031. The campaign has sparked concerns that the stricter limits could harm the economies of some states and potentially break up the pact, known as RGGI. But if nothing is done to update the program, which encompasses states from Maine to Maryland, the current emissions requirements will expire at the end of the decade, compromising the region’s efforts to curtail the heat-trapping gases that climate scientists say are responsible for global warming. New York, Vermont, Connecticut, and Rhode Island also support extending the current annual limits or making them more stringent, Suuberg and others said. But other states, especially those in the mid-Atlantic, have raised concerns. Maryland and Delaware, for example, receive their electricity from a separate grid that includes coal-reliant states such as West Virginia and Kentucky, which aren’t part of the regional program. Officials there worry that stricter regulations would put them at an economic disadvantage with those states, which tend to produce dirtier energy, often at lower electricity costs. That could force their power plants to close, while residents would still be exposed to harmful emissions from across state lines. Environmental advocates have encouraged the regional program, which holds auctions several times a year to solicit bids for pollution permits from power companies. Those permits, or allowances, can be traded between companies based on how much carbon dioxide they release. Over time, the caps on the allowances have been lowered, making the permits more expensive and providing financial incentives for companies to use cleaner energy. Proceeds from the auctions support energy efficiency programs in the nine states. Since the program began in 2008, for example, Massachusetts has earned nearly $416 million from the auctions. Overall, the cap-and-trade program has led to reduced emissions and lower energy prices, advocates say. Last year, the region produced about 83 million tons of carbon emissions, 37 percent less than in 2008, according to the Acadia Center, an environmental advocacy group in Boston. In a report this year, the group found these states have reduced emissions by 16 percent more than other states, while the region’s economy has grown 3.6 percent more than the rest of the country. At the same time, energy prices have fallen by an average of 3.4 percent, while electricity rates in other states have risen by 7.2 percent. “Adopting the 5 percent cap would signal that the RGGI states are taking climate change seriously and setting an example for the rest of the country that ambitious emissions reductions are achievable,” said Peter Shattuck, director of the clean energy initiative at the Acadia Center. But the decline in the region’s emissions and energy prices in recent years might well have more to do with broader market forces than the regional program. Representatives of the power plant industry note that emissions and energy prices have been lowered more by the falling price of natural gas, which produces fewer emissions than oil and coal and has become far less expensive amid a surge in hydraulic fracking. The region has come to rely increasingly on natural gas. Dan Dolan, president of the New England Power Generators Association, attributed much of the region’s lower electricity prices to greater competition than in other states, where utilities often hold monopolies or long-term contracts that tend to make their power plants less efficient and more reluctant to convert to natural gas. “A multistate trading platform like RGGI is the way to reduce emissions, but it hasn’t been the driving factor,” Dolan said. Still, lowering the emissions caps is vital for states to meet their goals of cutting greenhouse gases beyond 2020, said Ken Kimmell, president of the Union of Concerned Scientists in Cambridge and the former commissioner of the Massachusetts Department of Environmental Protection. Massachusetts, for example, is required by state law to cut carbon emissions 25 percent below 1990 levels by 2020 — and 80 percent below those levels by 2050. “Cutting emissions from power plants remains the most cost-effective way to stave off the worst effects of climate change and build a diverse energy supply,” he said, noting that Massachusetts power plants produce more emissions than all sources other than transportation. Finding common ground on the caps is further complicated by the politics in some states, such as Maine and New Hampshire, where the legislatures and governors must approve changes to the regional program. “These hurdles certainly make it harder for us,” said Robert Scott, commissioner of the New Hampshire Public Utilities Commission. Thomas Burack, commissioner of the New Hampshire Department of Environmental Services, said his staff is still reviewing the proposals and their potential effect on the Granite State. Any changes, he said, would require unanimous consent. Maine has received about $80 million through its participation in the regional program, but its governor, Paul LePage, has been an outspoken critic of efforts to address climate change. “The state is looking hard at this continued RGGI commitment,” she said.